Before you commit to an expensive repair or system replacement, get a free second opinion. Our team of qualified technicians are prepared to handle all your air conditioning service needs. We'll keep your A/C system operating at its best so you stay cool all summer long. Give us a call today to learn more! At Four Winds, we know your comfort is important. We work with you to suggest the best options for your needs and to provide the best heating system services in the area. Let our team handle all your heating service needs! Enjoy the convenience and benefits of a heat pump system installed by Four Winds. Our technicians are highly trained and experienced to ensure you get the most out of your heat pump. Call today! At Four Winds, we want to make your HVAC system installations simple and convenient. We offer financing options from Wells Fargo and Microf, so you can feel comfortable and confident throughout the entire process. "Prompt excellent service each time I have needed them. Technicians always friendly and personable and willing to answer questions. Kudos to Brian who fixed my a/c today." "Same day service was terrific. My repairman fixed the problem quickly and inexpensively — and showed me how to maintain the system to prevent the problem in the future. I would highly recommend!" "Four Winds provides quality, fairly priced service and installation. They have always done a great job for me and my family. They will never try to sell you something you don’t need. A company with a history of integrity." With over twenty years of experience, Four Winds Custom Heating & Air Conditioning, Inc. is the right choice for light commercial and residential HVAC services across South Bend, IN and surrounding areas. We are well-versed in the challenges of local weather, from energy efficient temperature control to issues with air quality. Bringing you industry innovations and expert services, our fully licensed and insured technicians save you time and money, while improving the comfort, health, and integrity of your indoor space. Contact Four Winds Custom Heating & Air Conditioning, Inc. at 574-674-0841 for honest and dependable installation, seasonal maintenance, and prompt repair throughout South Bend, Osceola, Mishawaka, and Elkhart, IN. 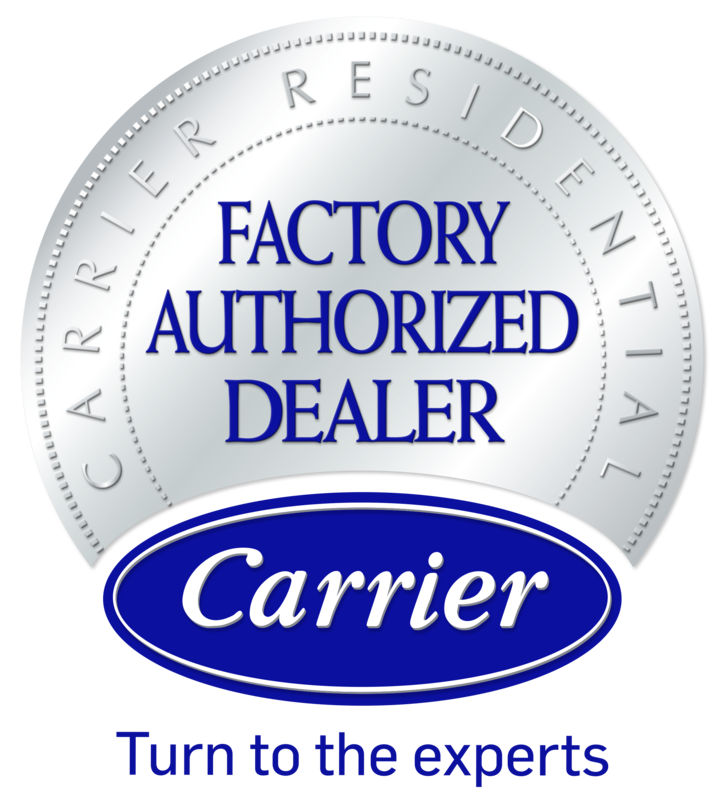 We specialize in a broad range of options, including furnaces, boilers, heat pumps, dual fuel systems, ductless units, central air conditioning, WiFi thermostats, total home automation, and air quality accessories. Call our team for all your HVAC repairs, maintenance & installations! By targeting our recommendations and strategies to your specific concerns and goals, we optimize long-term satisfaction. You can always rely on Four Winds Custom Heating & Air Conditioning, Inc. with complete confidence. We stand behind our work 100%. 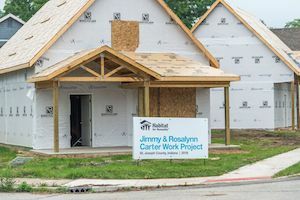 Carrier teamed up with Four Winds Custom Heating & Air Conditioning, Inc. this year for the Jimmy & Rosalynn Carter Work Project to help provide more than 30 systems for new and rehabbed Habitat for Humanity homes in St. Joseph County. Read more about the event! Promotion runs March 18th – June 30th. Please contact Four Winds Custom Heating & Air Conditioning, Inc. at 574-674-0841 for more details. Cannot be combined with any other offer. Please contact Four Winds Custom Heating & Air Conditioning, Inc. at 574-674-0841 for more details. One coupon valid per customer. Cannot be combined with any other offer. 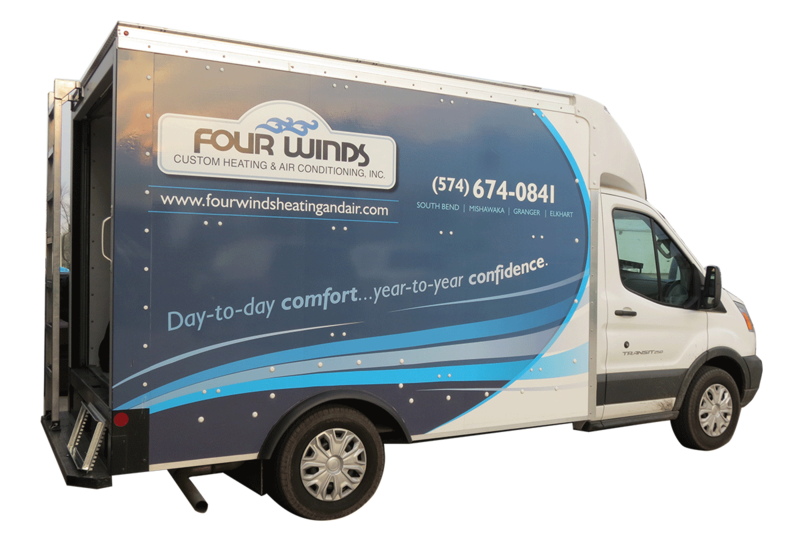 Four Winds Custom Heating & Air Conditioning, Inc.